Pastel shades and colours have been such a huge trend, and now that we’ve welcomed the year 2018 with open arms it’s safe to say these pretty pastel hues are not going anywhere. Set to be more popular than ever in the coming seasons, pastel hues are here to stay, and what better way to incorporate them than with your next hairstyle? 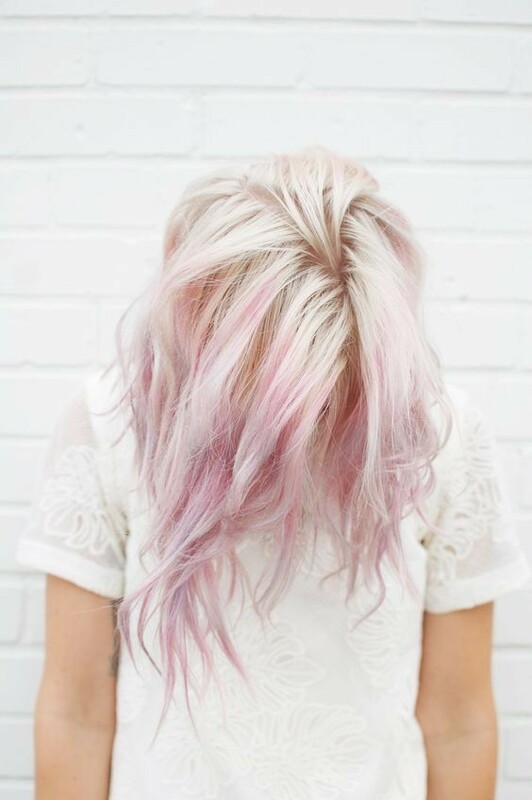 Here are some of our favourite pretty pastel hairstyles for your inspiration. It’s undeniable that rose gold has taken off in a huge way – but did you ever think it would be such a beautiful hair colour? 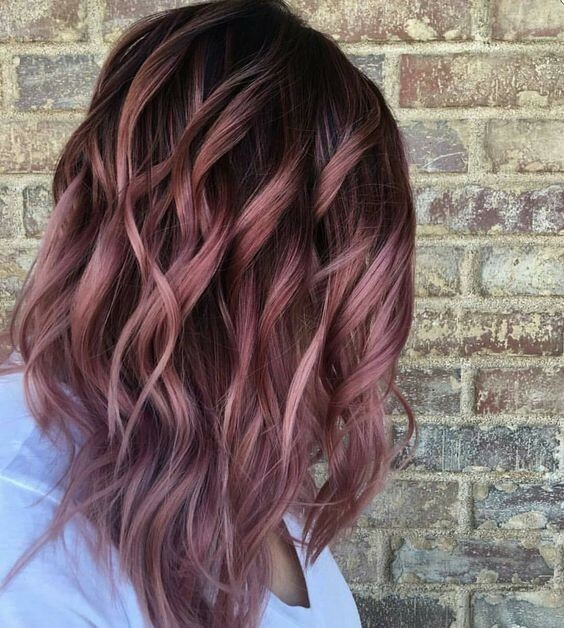 This lady’s stunning hairstyle blends from a dark brown to a gorgeous rose gold through the ombre transition, and has been curled to show of the amazing blend of colours. 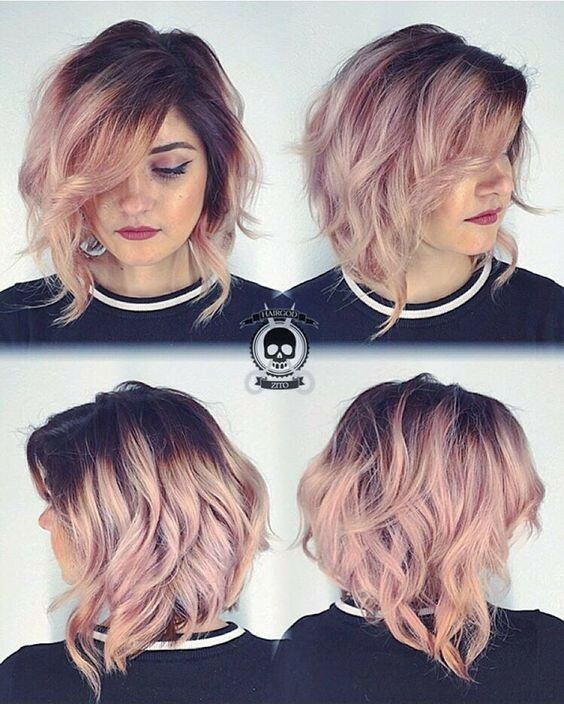 This amazing pink colour is just to die for! Bubblegum pink is the perfect pastel colour – it’s the perfect combination of a pop of colour and something subtle, as this absolutely stunning lady has proved. Her gorgeous long bob is graduated with longer layers towards the front and shorter at the back, finished with a sweeping fringe, and works from a dark brown to a pretty bubblegum pink shade which we just adore. This lady has bowed her head to show off the stunning pastel colour transition from cream at the roots to pastel pink at the tips, and we can’t blame her at all! This gorgeous hairstyle works with a stunning combination of pastel colours, and this incredibly stylish lady has roughly tousled her locks for this amazing edgy finish. Blue never looked so good – don’t you agree? This fashionable female has gorgeous long locks which cascade down her back in soft curls, blending from a gorgeous pastel blue at the root and blending seamlessly into a shiny silver colour. This look would be equally impressive when straight, and we think the colours would be showed off amazingly in an up do! Wedged bobs are oh so fashionable, with plenty of lovely layers to the back of the head, creating this gorgeous curved effect. We think this one in particular is extra special thanks to the pretty pastel colours which work together seamlessly. 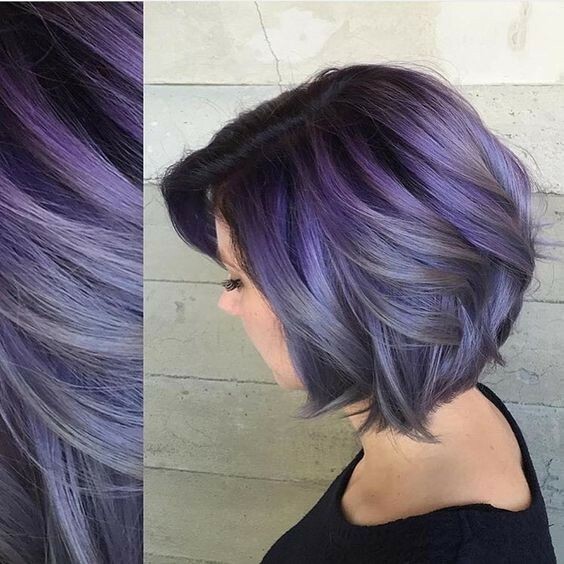 Blending from lilac to a gorgeous grey, the bob is finished with big barrel curls for a bouncy end result. Graduated bobs are when the front layer is longer than the back, with the ends of the hair forming a graduated line. This incredible sleek bob has a deep side parting, meaning there is an incredible sweeping fringe effect. 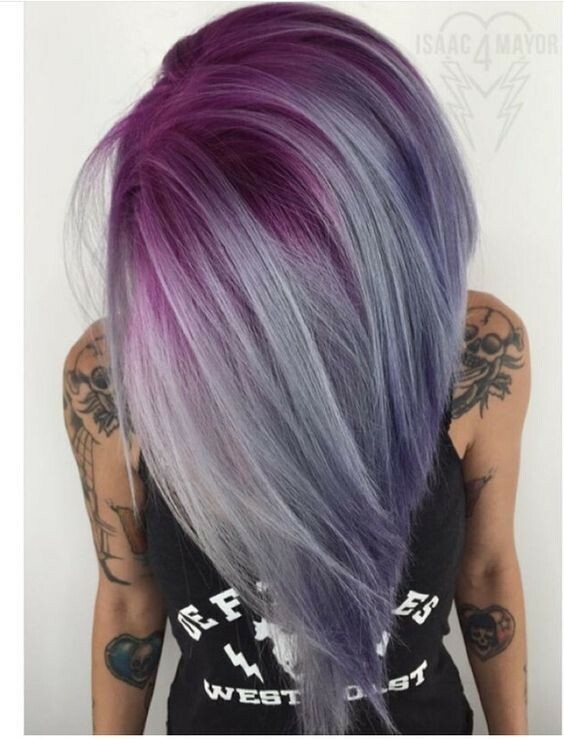 This straight style is more exciting thanks to the purple pastel look! Starting with a gorgeous purple, fading to a subtle lilac and finishing with a stronger lilac at the tips, this purple blend is making us swoon. Tousled locks are one of the easiest way to create a hairstyle which can take you from day to night with ease, and we simply cannot get enough of this pretty peach bob with a tousled style! 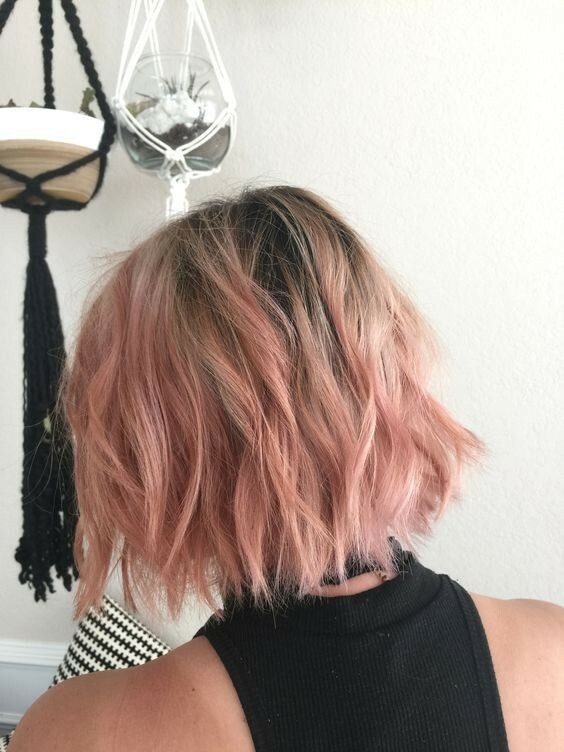 This bob falls around the jaw level and is finished with choppy layers, with the pretty peach shade bringing the whole look to life with ease. Another beautiful wedged bob to add to the collection – but this time with a wonderful shade of teal as the colour scheme! With lots of incredible wedged layers at the back of the head, this cut has a stunning curved shape, especially thanks to the loose waves added throughout. 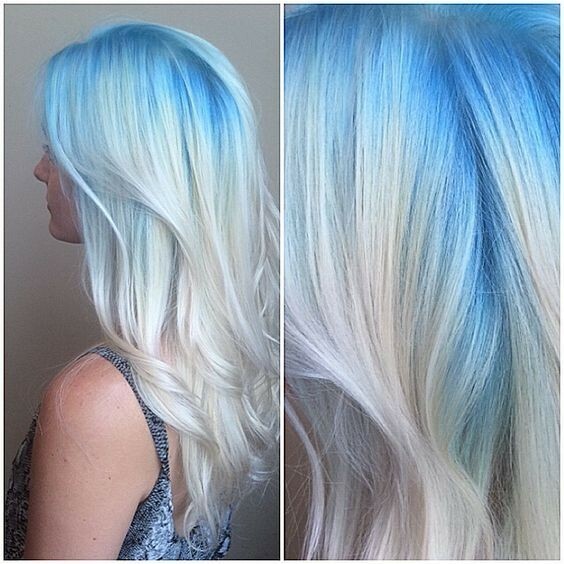 The amazing pastel teal colour brings the cut to life. 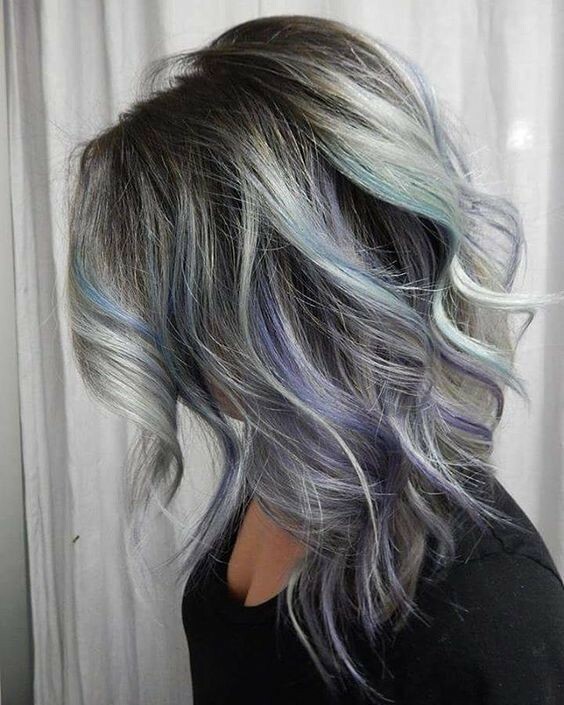 Silver and blue are a match made in heaven, as proved by this utterly gorgeous hairstyle which we simply cannot get enough of! 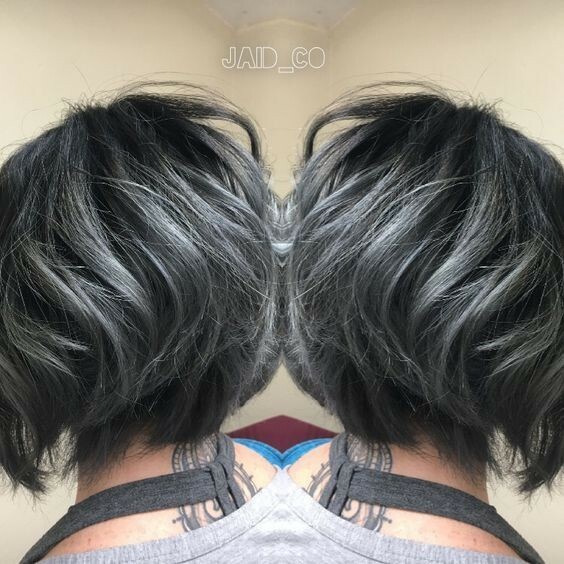 This incredible medium hairstyle falls around the shoulder length, and is primarily a striking shade o f silver, but full of beautiful blue streaks. Her hair has been worked into romantic curls throughout for a flawless finish. Silver locks are so trendy and look absolutely incredible – just take a look at this lovely lady pictured above! Her long hair falls down the centre of her back and has been curled loosely for this incredible wavy effect. 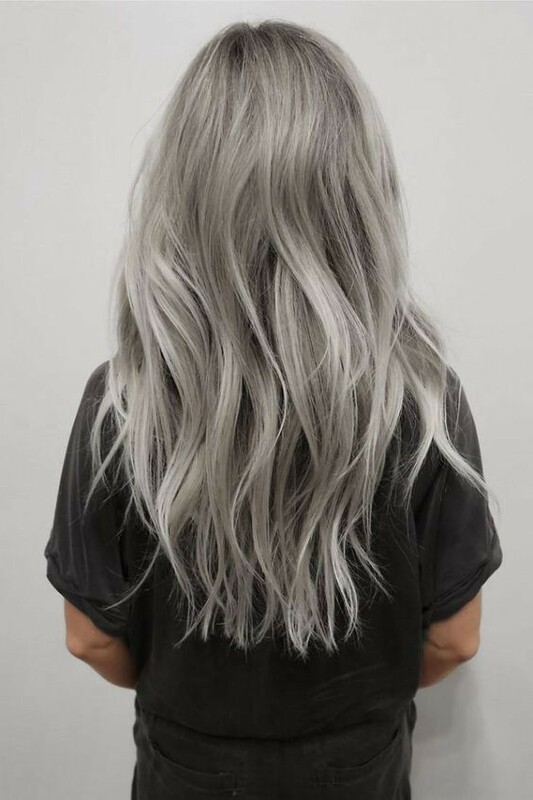 Her hair is a shiny and gorgeous shade of silver which we absolutely cannot get enough of and we think this end result is pretty special indeed. PoPular Haircuts hope that we’ve inspired you to introduce a pastel colour into your hairstyle at your next appointment. Let us know which of these gorgeous looks is your favourite because we love to hear from you.